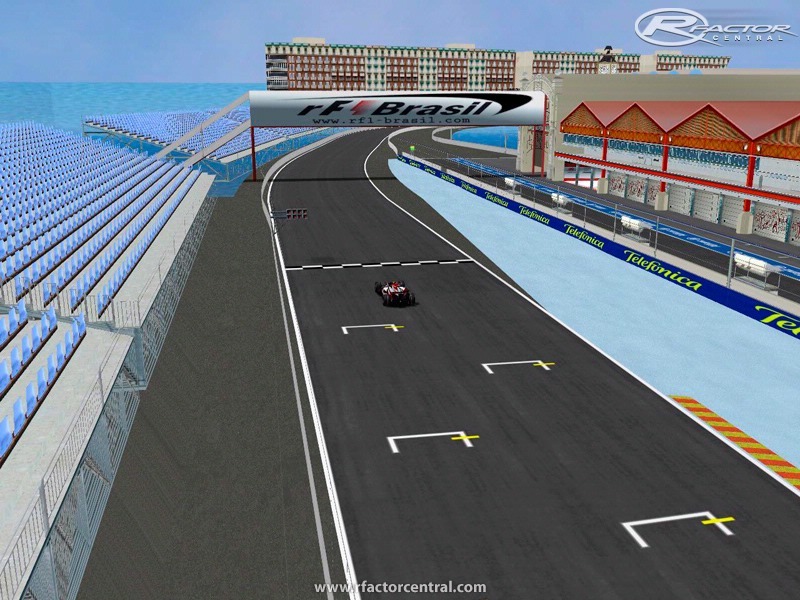 It is an improved version of Valencia 08 by Franco FXP, MMG and rF1-Brasil. Track Edited and Updated by Bruno Menezes, Leonardo Lourenço and Sandro Nex. Valencia Street Circuit modifyed by rF1-Brasil and Steve B of MMG. the racing line is wrong. i have an error opening the .mass file.I didn`t change anyting yet,i just extract it to rF folder. Ok, guys, I for one apologise. Maybe I was a bit harsh with my remarks, but to be honest it wasnt clear from the release of this version what it was actually for. At the time you called the release "version 4 final", which to my mind was not final and left me wondering where version 3 had gone. It was also not clear that you had created it for the league(s). I had assumed, therefore, that you made this version purely to advertise your site/skills/whatever. If you do decide to release other versions of this or other tracks, please communicate your intentions a little more clearly. Thanks for your efforts. Yeah, We dont post our tracks here anymore. Now we´re working on a Spa-Francorchamps with the new "bus stop". If u´re able to HELP , please contact us. First of all, whoever didn't like the track grab a copy of 3dMax and model a better one. This track was edited and improved with Franc FXP's permission. Also, neither MMG nor rF1 used eachtother's work without permission. We worked together on the development of this track, you will notice rF1 material on MMG track and vice-versa. I would like to see all those bastards who are badmouthing our track produce a better track. I want to see that! Like PROWLER82 said before, rF1-Brasil will not be posting anymore tracks on rFactorCentral. For all of those who liked our track i deeply appreciate your kind comments. RF1-BRASIL WILL NOT BE POSTING ANYMORE TRACKS IN HERE FOR THE PUBLIC. VALENCIA WAS THE FIRST ANS LAST TRACK TO BE POSTED. THE LEAGE THROUGH OUR WEBSITE.